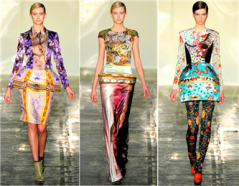 Mary Katrantzou is Greek-born designer who is based in London. Her first two collections have already gained a lot of press attention and her vivid prints earned her the coveted Swiss Textiles award. She creates dresses with flirty chiffon trains, boned lampshade skirts garnished with flippant tassels, and textural, strong-shouldered jackets. Or from her latest collection, sophisticated silhouettes worked with her intricate, candy prints, which were inspired by the interiors of Helmut Newton's photographs, to create a surreal visual symphony of form, graphics and color. For the past two seasons Mary Katrantzou has grown from a brilliant print-maker into a truly innovative designer. Mary was born in Athens has no vivid memories of fashion as a child, other than meeting Pierre Cardin, who she thought was an interior designer. 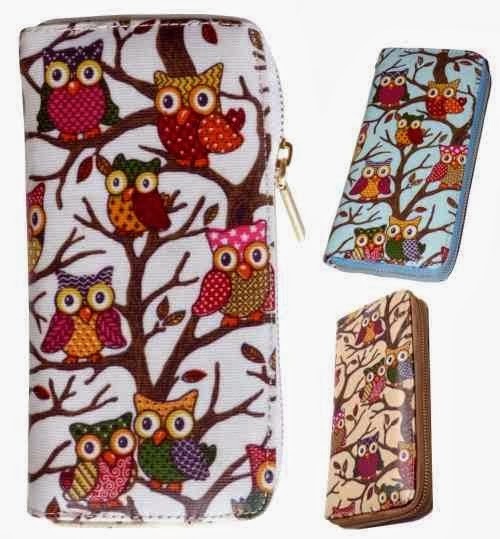 Her mother was an interior designer and a father who trained as a textile designer. Her interest only grew with age, and, before moving to London to study textiles for interiors at Central Saint Martins, Katrantzou was an architecture student at the Rhode Island School of Design. Mary has graduated of Central Saint Martins, who shows her collection under the Topshop-sponsored NewGen. Beat the rush and avoid the high street mayhem by shopping in the comfort of your own home and get your SALE fashion fix at Missguided.co.uk. With the latest women’s clothing find perfect party dresses with up to 50% off. Don’t get left out in the cold with the recent snap of cold weather and enjoy up to 50% off Missguided.co.uk cosy knitwear, with the latest catwalk-inspired trends dress up for those wintry nights or wear casual with boots and thick tights.